Last month, the Ohio Middle-Level Association (OMLA) held their annual State Conference for over 1,000 attendees in Sandusky, Ohio. 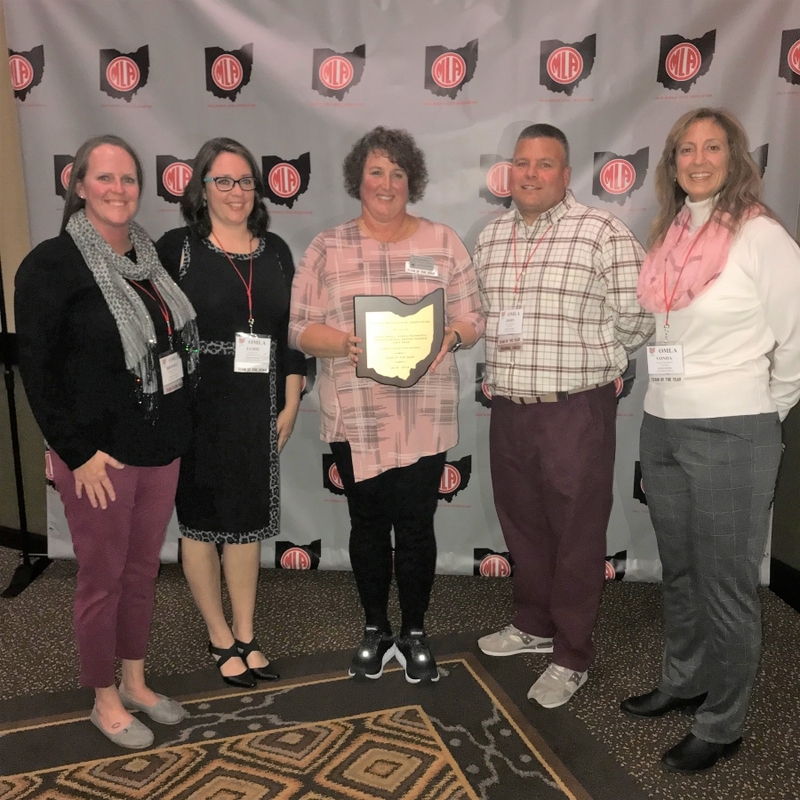 Five of our Kings Junior High School staff members received the Ohio Middle-Level Association Team of the Year. Congratulations to Team 7 Red, Brooke Warner, Jamie Dean, Jen Bicknell, John Karabinus, and Vonda Fruhwirth. Additionally, John Karabinus received the 2018 Southwest Ohio Regional Award for Best Middle-Level Practice in Student Advisory and PBIS. The OMLA Regional Award recognizes outstanding middle-level educators, programs and schools. The Ohio Middle-Level Association (OMLA) is home to over 9,500 middle-level educators from throughout the state of Ohio. It is the fastest growing professional development organization in Ohio; serving as the official voice for educators teaching 4th through 9th grade. To learn more, please visit www.ohiomla.org.